Sangria is traditionally made with a mix of red wine, brandy, vodka or liqueur, and fruit served chilled and often over ice. It is a fruity wine fortified with a fair amount of booze. Here, we take that basic concept and lightened it up for spring, highlighting the magic of everyone's favorite spring fruit: strawberries. A dry rosé wine works beautifully here, although if you prefer fruity or even sweet wines, go ahead and use whatever wine you like, and know that white wine works perfectly in the recipe, and even red wine, while a tad heavier and with a tendency to mask the floral aroma of the strawberries, is also a decent choice. If you're making this for a party, know that you can make bigger and bigger batches—limited only by how big of a container you have and how many people you invited. Note that the gin adds a nice floral note here since it's flavored with a range of botanical aromatics, but plenty of people do not enjoy the particular flavor of gin, which is why there's the vodka option, too. Pour the wine into a large pitcher or sealable jar. Hull the strawberries (use the point of a knife to cut the green stem out of the fruit, removing the white calyx underneath the green leaves—see details here). Set a few of the smaller ones aside to use as garnish. 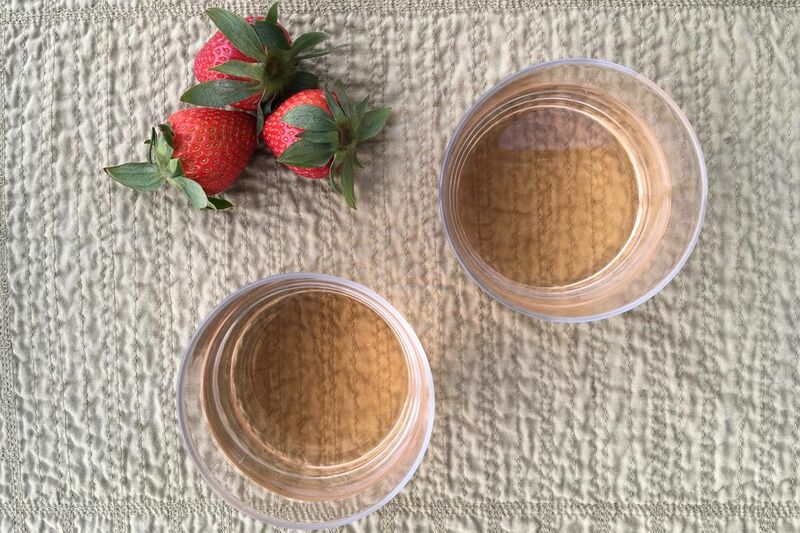 Quarter or slice the hulled strawberries and add them to the wine. Use a sharp paring knife to cut off several broad swathes of zest from the lemon (the zest is just the very external yellow part of the lemon peel, without the bitter white pith that lies just beneath it still attached). Cut the lemon into slices and add them and the zest to the wine. Stir in the sugar, if you like. Add more to taste, if it pleases you. Stir in the gin or vodka. Cover and chill for at least an hour and up to overnight. Serve as-is, if you like. You may want to fish out the strawberry and lemon slices, offering them on the side for those that want to eat them. If you want to lighten up the proceedings, add some seltzer water or other fizzy, sparkling water to the mix.